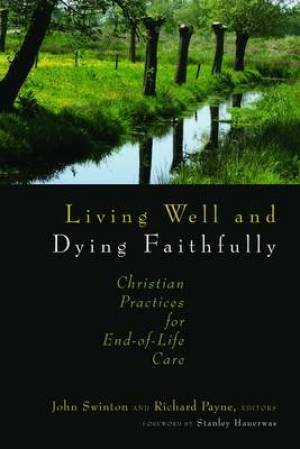 Living Well and Dying Faithfully explores how Christian practices love, prayer, lament, compassion, and so on can contribute to the process of dying well. Working on the premise that one dies the way one lives, the book is unique in its constructive dialogue between theology and medicine as offering two complementary modes of care. Living Well and Dying Faithfully was published by Eerdmans Publishing Company in December 2009 and is our 25201st best seller. The ISBN for Living Well and Dying Faithfully is 9780802863393. Be the first to review Living Well and Dying Faithfully! Got a question? No problem! Just click here to ask us about Living Well and Dying Faithfully.